Calling all cat lovers! 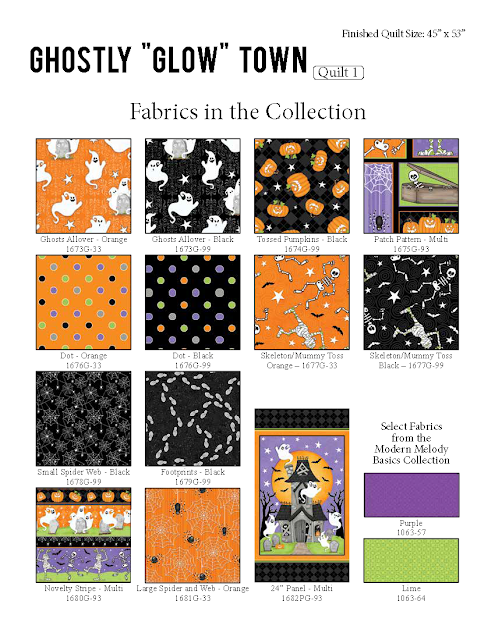 "Day Dreamers" by Kate Mawdsley is IN QUILT SHOPS NOW! 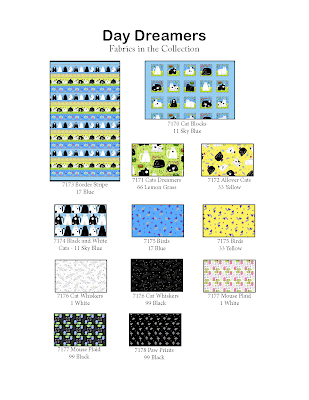 This 12-SKU collection features cat dreamers, birds, whiskers, mouse plaid, paw prints, and more. 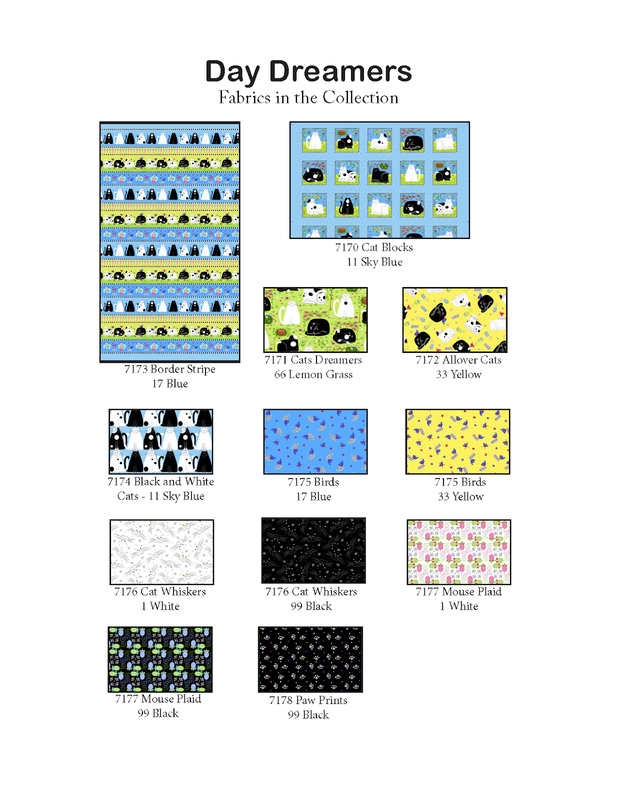 Also included are a cat block panel and a border stripe pattern. Additionally, there is one FREE quilt project available for download. 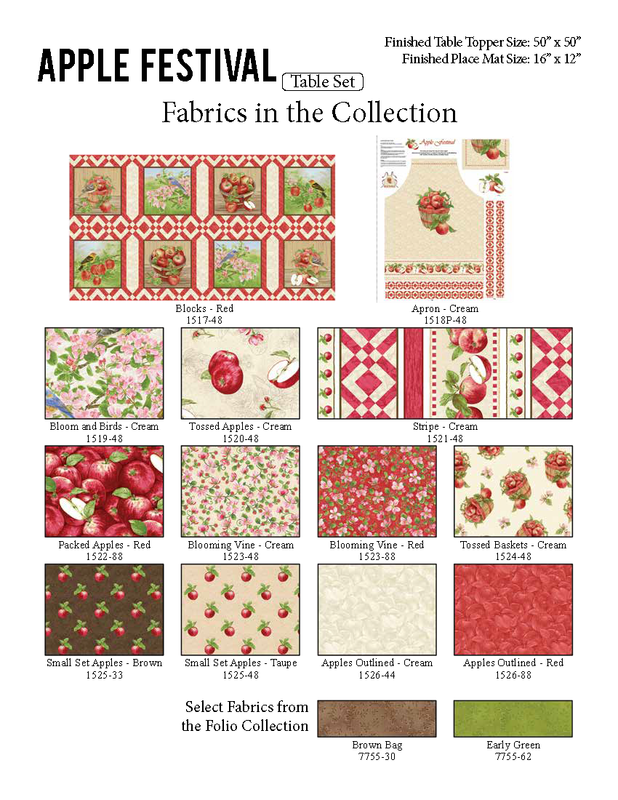 "Apple Festival" by Jane Shasky of Jane Shasky Studios is 13-SKU collection that features blooms and birds, apples, baskets, and vines. 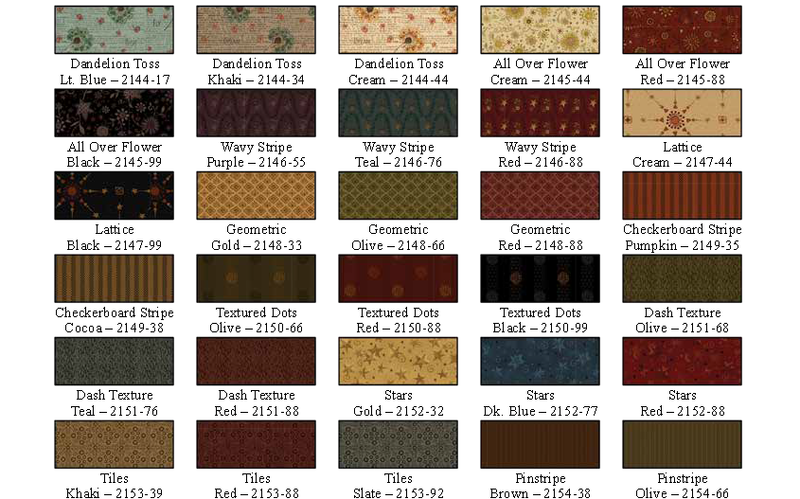 Also included are a block panel and an apron. 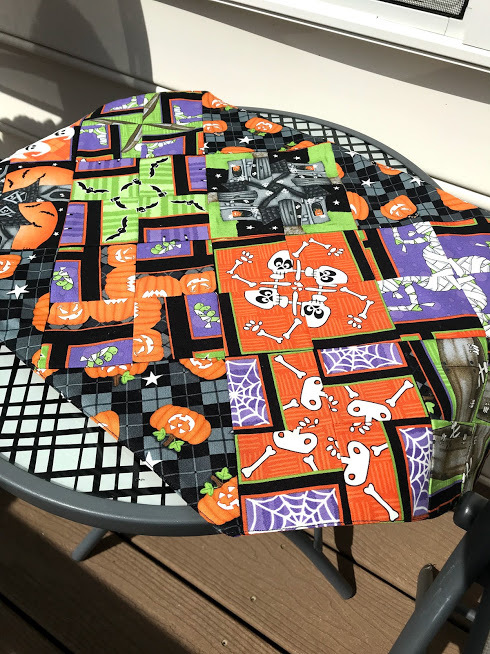 PLUS did we mention that there is one FREE project (a table set) as well? 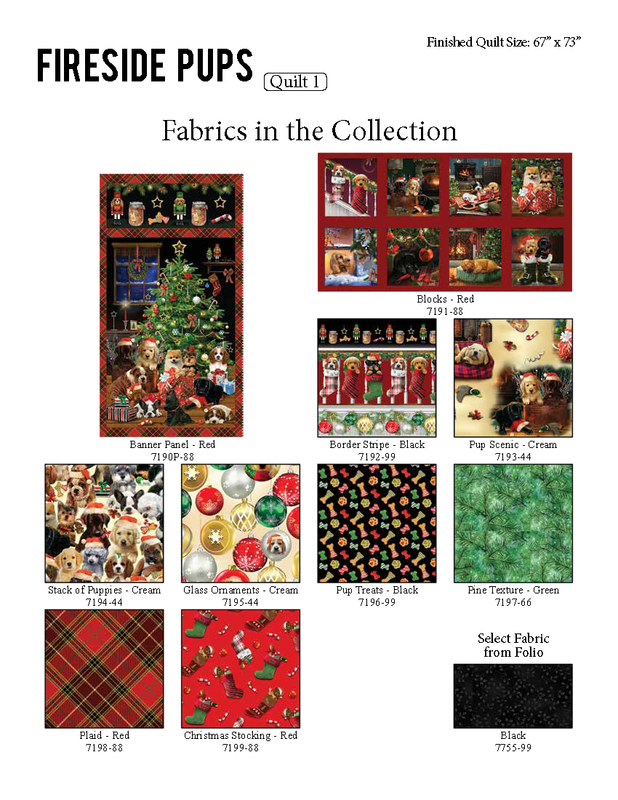 This collection is IN QUILT SHOPS NOW! 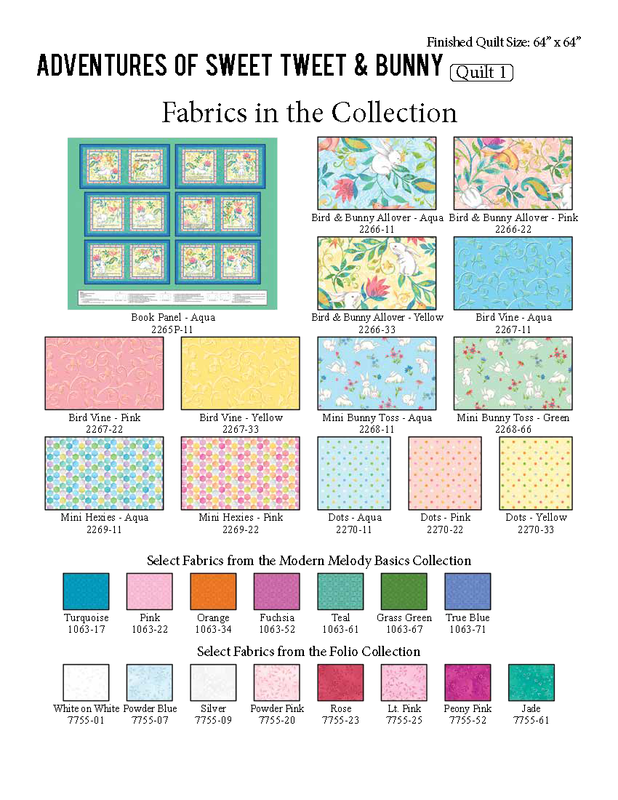 "Sweet Tweet and Bunny" by Color Principle is the perfect spring collection to add to your stash! Splashed with a touch of pastels, this collection features allover birds and bunnies, bird vines, mini hexies, dots, and even a book panel! Also included are two FREE quilt projects (Quilt # 1 and Quilt # 2). IN QUILT SHOPS NOW! 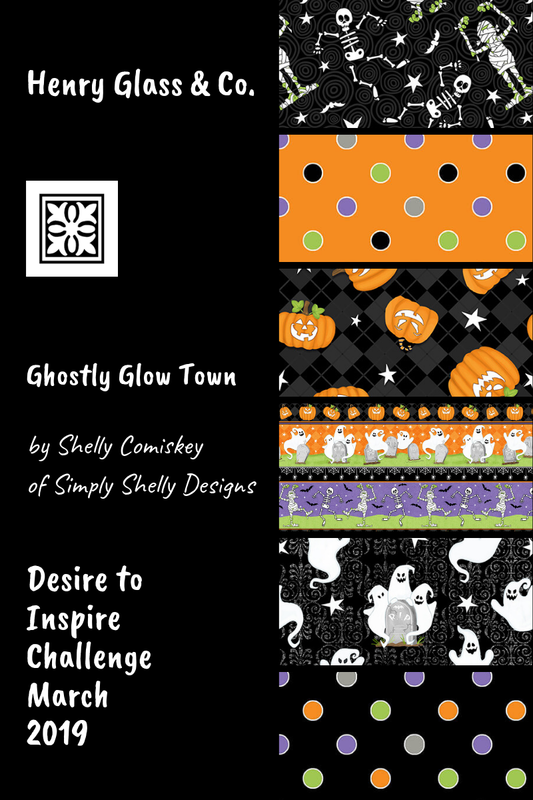 Meet Heather Long -She took on the challenge of using "Ghostly Glowtown” by Shelly Comiskey of Simply Shelly Designs in the month of March 2019. Hi! 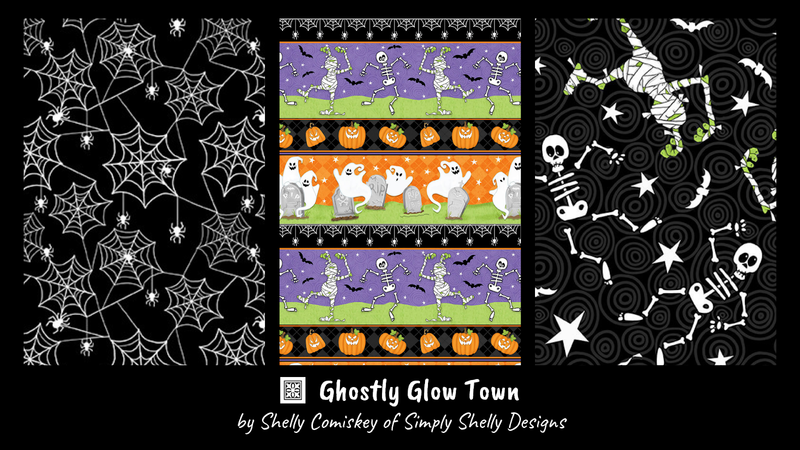 My name is Heather Long and I live in Phoenixville, PA, just outside of Valley Forge. It's a wonderful town with a very active downtown restaurant scene but still within a short drive to the Valley Forge National Park and all the trails available. 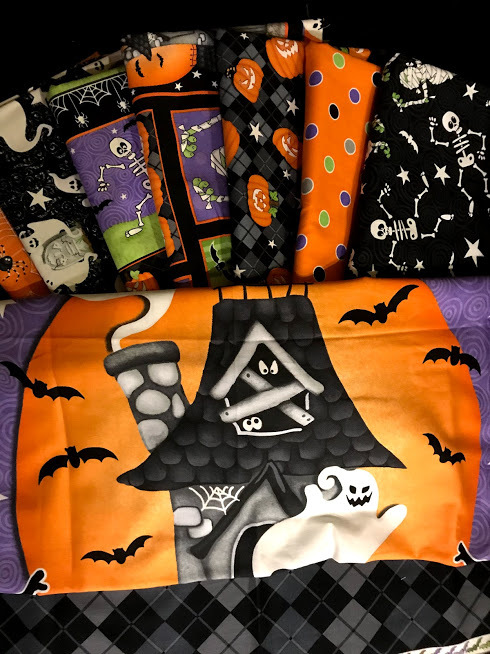 I've been married for 3 years to my amazing husband, Andrew and we have one 2-year-old son, James (Jimmy) who is my best little quilt helper. We travel quite a bit more than I ever expected to, especially with a baby/toddler, but we enjoy our adventures. 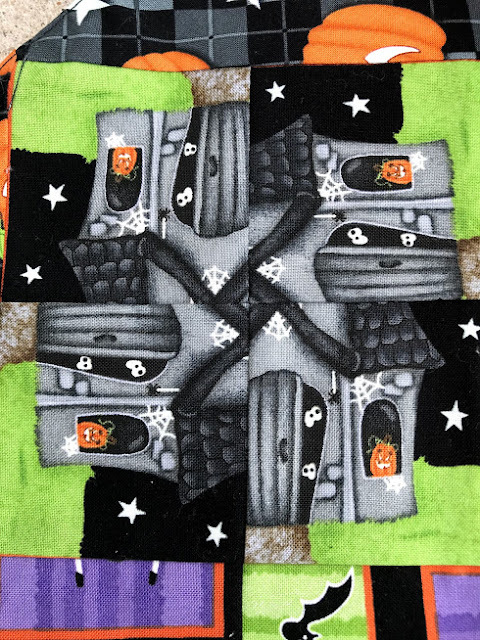 When it comes to quilting, I'm mostly self-taught from books and blogs. 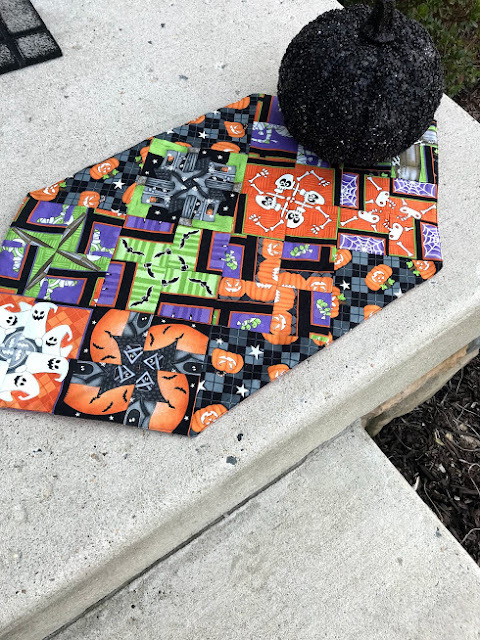 I started quilting almost 15 years ago - no one else in my family quilted or really sewed, but I just had the itch. I started by reading everything I could but then I finally had to just jump in and accept that my first quilt would NOT be perfect. My favorite quilts are traditional with a bit of a twist. 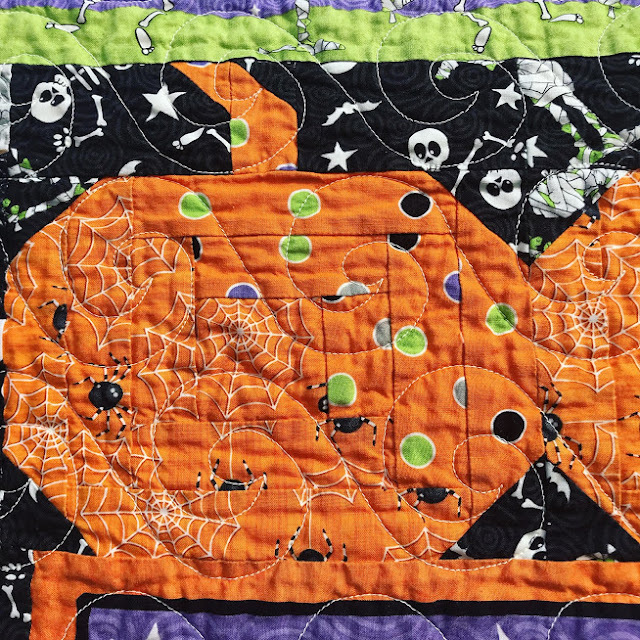 I don't really consider myself a modern quilter, but I'm not strictly traditional either. 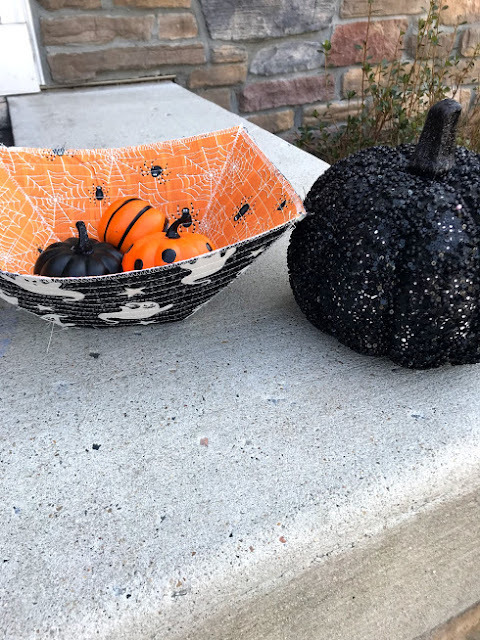 You can check out my blog here. While I don't belong to a "real life" guild, one of my greatest resources is an online group called Quilting Around the World - I've gone to several retreats and join online challenges there. I love those ladies! 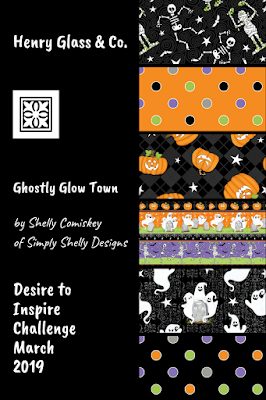 Desire to Inspire April- Looking for a Challenger! Calling all dog lovers! 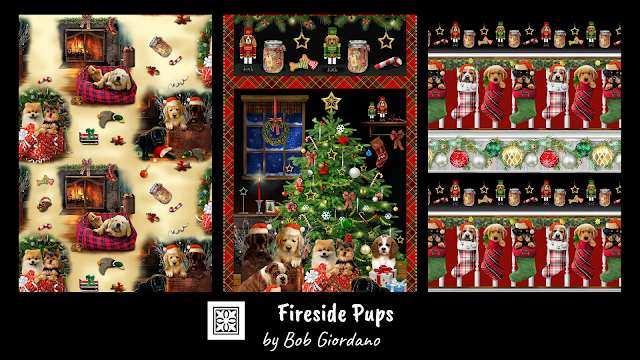 Nothing sounds more snuggly than a pup at your feet by the fireside, and that's why you "mutt" not want to miss this adorable collection by Bob Giordano. "Fireside Pups" is a 10-SKU collection featuring traditional Christmas colors and all things dog, as well as one FREE quilt project! Ships in May 2019! 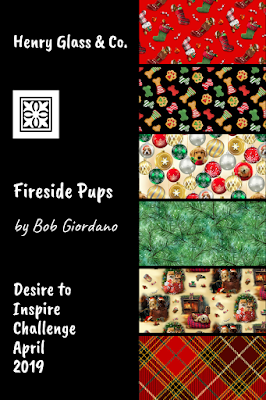 In this month's Desire to Inspire Challenge, the winner will receive this collection to make something great. The caveat is... it MUST BE made in the month of April, and pictures of your finished project(s) must be provided to us by the end of the month. Along with your picture and bio, too, of course. 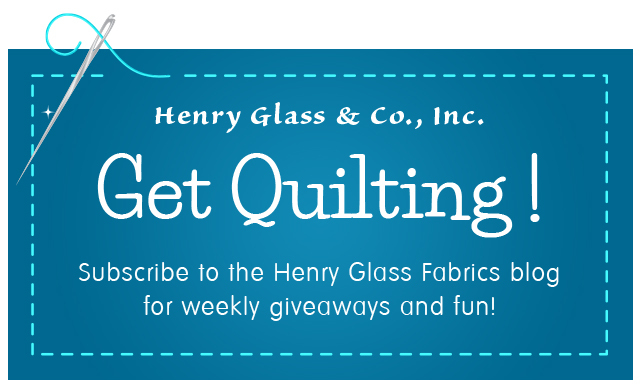 Send an email to jennifer@jaftex.com to put your name in the hat! 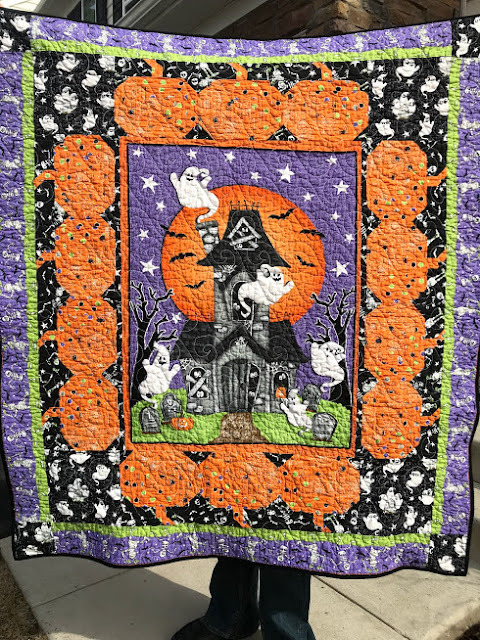 One Sister designer, Janet Rae Nesbitt has long been known for her scrappy quilting techniques and crazy pattern style. Janet incorporates her primitive style color palette with her Crazy pattern method. We are giving away 30 SKUs of the prints from this collection to one lucky winner. The full collection of prints and yarn dyed fabrics is IN QUILT SHOPS NOW and also includes one FREE quilt project.